Have a new content site, or an existing site that needs more focus? Here’s a “checklist” of 10 things to keep in mind. Whether you’re starting a brand-new content site or have one that just needs a spruce-up, great sites tend to share similar habits and structures. Today, I talk about ten things to keep in mind, so you’re building your content on a rock-solid foundation. 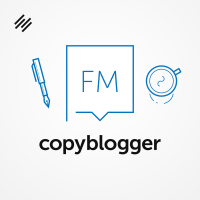 By the way — if you like text content, this podcast episode is an audio version of a Copyblogger post: The 10-Step Content Marketing Site Checklist. We have a lot of links for you this time, since every one of these steps is something that Copyblogger has published in-depth content about, often more than once. Really appreciate this information. Thank you!